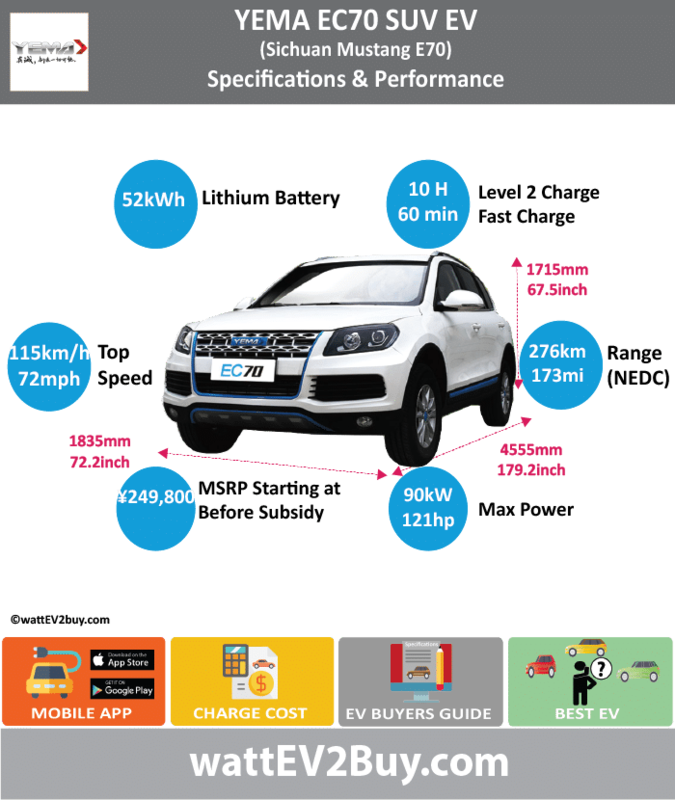 wattev2buy explores the Yema EC70 EV SUV specs, battery, range, performance pictures as it vies for a position in the fast-growing Chinese EV market. The Yema EC70 EV SUV also know as the Sichuan Mustang E70, unveiled in July 2017, is based on the Chinese automakers T70 SUV. Go to our detailed breakdown of Global EV Sales to see how the Yema EC70 EV SUV electric car fares to its competitors in the fast-growing EV market.